You are currently browsing the archives for the Barbecue Tips category. Bad, very bad. One thing we can all overlook is what a wonderful home our barbecues can be for rodents, especially those who pack up the BBQ for the winter, not being used and with residues of cooked food; it’s a magnet for those little furry scavengers. So what can we do? The first thing is to give the BBQ a really good final clean before putting it up for storage, there are a few ways, but the most effective is a really good deep clean with heat, lots of heat, you can buy BBQ cleaners from chemical to scrub brushes and they all do a good job, however we personally never use chemicals to clean the inside of the barbecue other than a little washing up liquid, and with any grease removed on the outside, a little baby oil does the perfect job of restoring and protecting hoods and panels especially Stainless Steel. With the grills and flavour bars clean, you can now continue to wipe down the rest of the BBQ. 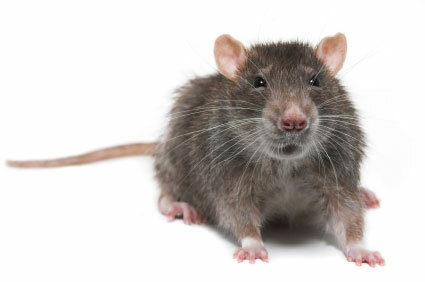 Once the whole thing is clean, you can put it up for storage, there are a few tips on deterring rodents, one that has the most popular results is using cotton balls soaked in peppermint and placing a few in the grill and cabinet, personally we have never used this but have had many customers comment how they do it and don’t find any evidence of visitors, so for what it costs and the time it takes, we think it’s worth a go. Now one final tip would be to block off any entry points, especially if the BBQ is to be left outside during the winter, also use a good cover, this will protect the outside from the elements but also make it more difficult for little pests to get in. 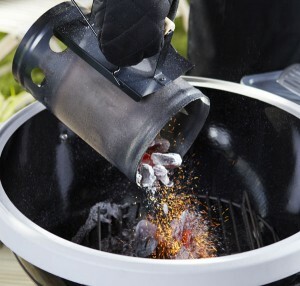 One final point is that gas barbecues come with basically two cooking mediums, lava rock or flavour bars, I would remove the lava rocks completely from the grill and store them in a container in the shed or sealed box inside the barbecue cabinet, these may still have a residue of food smells that may attract pests. With flavour bars, if they cleaned well you can leave them in place, or as I like to, remove them along with the actual cooking grills and store them separately in the shed or home, cast-iron grills require more care, so removing them and coating with some grape oil and storing them in the shed will not only provide better protection, but also should any rodents get in the BBQ they will not get to the cooking grills. Many modern and high-end barbecues now have rear rotisserie burners, however 99% of all gas and even some charcoal BBQs have the ability to accept a rotisserie, some supplied as standard. One of the biggest issues is the correct use of the rotisserie and how to position food properly. Rotisserie cooking is a great way to cook meat and in particular poultry. If you have a rear burner to the back of the cooking area then your BBQ is built for rotisserie cooking, fear not if you don’t though as you can use your standard burners. Cooking using a rotisserie is the ultimate method of ensuring your meat remains juicy, because the meat is constantly turning, it self-bastes using it’s own natural juices resulting in an exceptionally moist and tender meats. Two of the most important things to remember when cooking with the rear rotisserie burner are to fix the meat securely in the middle of the spit. With poultry,m the wings and legs should be tied tightly to avoid burning. Secondly, make sure you place a large drip pan under the meat to collect any extra juices that run off, these juices are ideal for making gravy, the drip pan can be placed on the grill under the meat, or under the grills if you don’t have room on top. With the breast down, bring the neck skin up over cavity. Turn under edges of skin, skewer to back skin. Loop oven string around skewer and tie. Turn breast side up and tie or skewer the wings to the body. Put a spit fork on the rod. Insert rod on neck skin parallel to the backbone, bring it out just above the tail. Put a second fork on the rod and insert forks in breasts and tail. Test for balance and tighten thumb screws. Tie the tail to the rod, the cross the legs and tie to the tail. Now you know how to load a chicken for roasting, why not put it all to practice with the tandoori chicken recipe below? Combine all marinade ingredients in a small bowl. Remove giblets and wing tips from chicken. Wash out chicken cavity and pat dry. Place the chicken in a deep dish, coat with yogurt mixture, also get mixture under the skin where possible, Cover and allow chicken to marinate in the fridge for 2 to 3 hours. Preheat your barbecue. Remove the chicken from the dish and discard marinade. Place the chicken on a rotisserie spit and cook over an indirect medium heat or with your rear burner on high for 1½ hours, or until internal temperature reaches between 175 to 180 degrees F.
If heat is too high, reduce and cook over a medium heat instead. Let chicken rest for 10 to 15 minutes before carving. If your looking for a barbecue with a rotisserie burner, then take a peek at Broil King, most are supplied with a rotisserie included worth over £80! With the Summer not being as we all wanted, and with word from suppliers that new BBQ models are being launched for 2013, we are starting to see some of the biggest price reductions to date, with Weber Spirit barbecues seeing as much as 35% off the rrp. New models and a poor Summer so far have forced prices down, but this could be just the time to snap up a real bargain, new models are lauched next year but only with a facelift, the Weber Spirit range is having a complete design change, but the proven cooking side will remain pretty much the same, so if your not concerned with having last years model, you can pick up a current one from under £300 and still have time to use it throughout the rest of this years season. Outback, as we have said in a recent post are shifting there system back to lava rock cooking, so if your after a bargain from Outback you can almost take your pick as once again suppliers don’t want old stock for next year. Were now in early August and have another wave of heat expected to reach us in a weeks time, dont miss out, get the BBQ on order now at rock bottom prices and get the family round for a feast this year! Prod, poke and play with food. Piercing meats releases the juices and results in dry and chewy food. Keep lifting the lid. If your barbecue has a lid it is there for a reason – to help food cook properly. Food can be left to cook on its own while you enjoy the company of your guests. Lifting the lid increases the cooking time and can cause flare-ups. Scorch and Torch. Cooking foods at very high temperatures for short periods of time produces meat that can be charred on the outside and pink on the inside. Great if you want to sear meat, but be sure then to continue to grill chicken or pork through thoroughly. Control the cooking temperature and time by checking the thermometer and using the vents on the charcoal grill and the adjustable burners on a gas grill. Spray water to reduce a flame. Pouring or spraying water produces steam vapours that can scald and it ruins the finish of your barbecue. Block air vents on charcoal barbecues. A fire needs oxygen, keep vents open to light your barbecue and leave them open throughout the cooking. Close the vents to extinguish the flame and save briquettes. Use petrol or lighter fuel on charcoal grills. Only use non-toxic firelighters – taste the food and not the fuel. Mix cooked and uncooked foods. Keep foods apart and do not re-use plates and dishes that have had uncooked foods on them. Use the correct method to cook. There are two ways to barbecue – directly or indirectly. ‘Direct cooking’ is where small cuts of meat such as chops or burgers are placed directly over the heat source and turned once to cook both sides. ‘Indirect cooking’ can only be done on barbecues with a lid. The food is placed away from the coals or the lit burner. Once the lid is on, the heat circulates, creating an oven – you can now roast or bake. Keep uncooked food chilled. Refrigerate food until it is ready to be cooked. Trim excess fats. Keep food healthy and reduce flare-ups, minimise fats and oils in marinades. Make use of grilling videos and troubleshooting guides. If you want guidance, check out the Internet for more advice or talk to a barbecue centre. Charcoal – Lump or Briquette? Not all charcoal is the same, there are dozens of brands of charcoal with manufacturers from all over the world, however there are really only 2 versions Lump Charcoal and Briquette Charcoal. These are random sized pieces of hardwood charcoal are made from wood and nothing more. Lump charcoal will burn at a higher temperature than briquettes, this type of charcoal is often best for cooking steaks, chops and burgers. Do take care when buying lump charcoal as some cheaper options will be full of additives and may even be softwood, this will not get hot enough and additives are never good for cooking with! These are a uniform, pillow shaped briquette, produced from left over product when producing lump charcoal, the pieces are ground into a consistent size, then using wheat, potato or corn starch as a binding agent they are produced into the same uniform size. Briquettes burn at a lower temperature but last longer than lump-wood, and so are ideal for low and slow cooking, some brands also have wood chips pressed in making them ideal for smoking meats. If you want to learn all there is to know about charcoal, then look no further that NakenWhiz! with 75 reviews of charcoal and counting! The barbecue centre has been supplying gas and charcoal barbecues for over 35 years, we have seen many good and bad BBQ manufacturers and now supply only the best available, from the entry level such as Outback to the premium brands like Weber and Broil King. The professional barbecues are at the forefront and lead the way with design and innovation and are for the professional or demanding barbecue enthusiast. If your looking to enter the barbecue way of life and have not used one before, then the recommendation always remains the same, tread water first, enter at an affordable level and make sure you have the time and enjoy the experience before going full throttle into the biggest you can buy, some premium gas barbecues can cost thousands of pounds, with an entry professional grill costing anything from £800. Once you have decided that you want to enjoy the outdoor lifestyle, take cost and convenience into account, gas is now the choice for 90%, it’s easy and quick to fire up, this means you’re more likely to use it often. Now if your new your budget is best kept as low as possible, do however take care not to make it too low, this could affect the quality of barbecue you end up with, in turn this can put you off the experience all together, we would always advise that you should look at a £150 to £300 budget for your first gas purchase. This is where Outback often steps in, they provide a good grill at an affordable price, they offer the same features as a more professional equivalent but on a smaller scale, these grills will see you through a couple of seasons setting you up to either continue barbecuing or if you find you don’t use it you haven’t spent a fortune trying out the lifestyle. Another brand that offers entry level cooking is Broil King with the popular gem barbecue, priced at under £200 it offers more features and build quality to the larger professional series BBQ’s, the Broil King barbecues have over-sized cook boxes so that you can really try out everything outdoor cooking has to offer, from whole chickens to racks of meat. Whatever grill you choose, remember that the whole experience is for enjoyment, make sure that you are made aware of all the facts regarding what barbecue you choose, speak to a barbecue centre or supplier to ensure that spares are available, research your list of choices on the Internet to find reviews. One major point that is almost always overlooked is the gas, be aware that your initial outlay for the gas will be around £60, this is because if you don’t already own a gas cylinder you will need to enter into a “bottle agreement”. When you first have a gas bottle you will be charged not just for the gas, but a one-off payment has to be made for the rental of the bottle itself, so do include this in your budget, along with extra items, one really important one being a cover if not included with the BBQ.